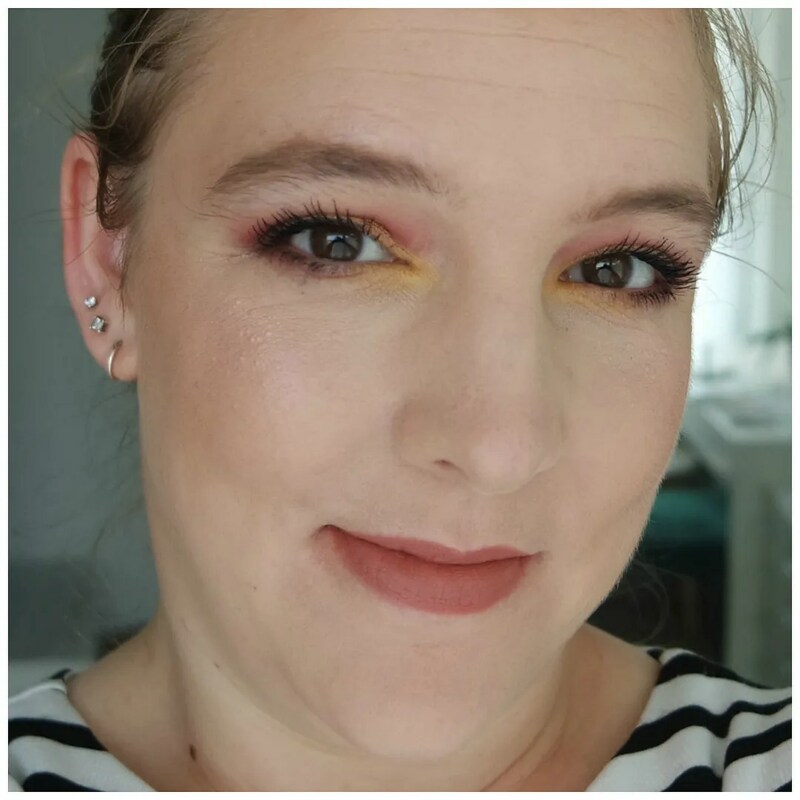 When I decided to try some more Make Up Revolution products last year, I also threw in a few of their powder highlighters. 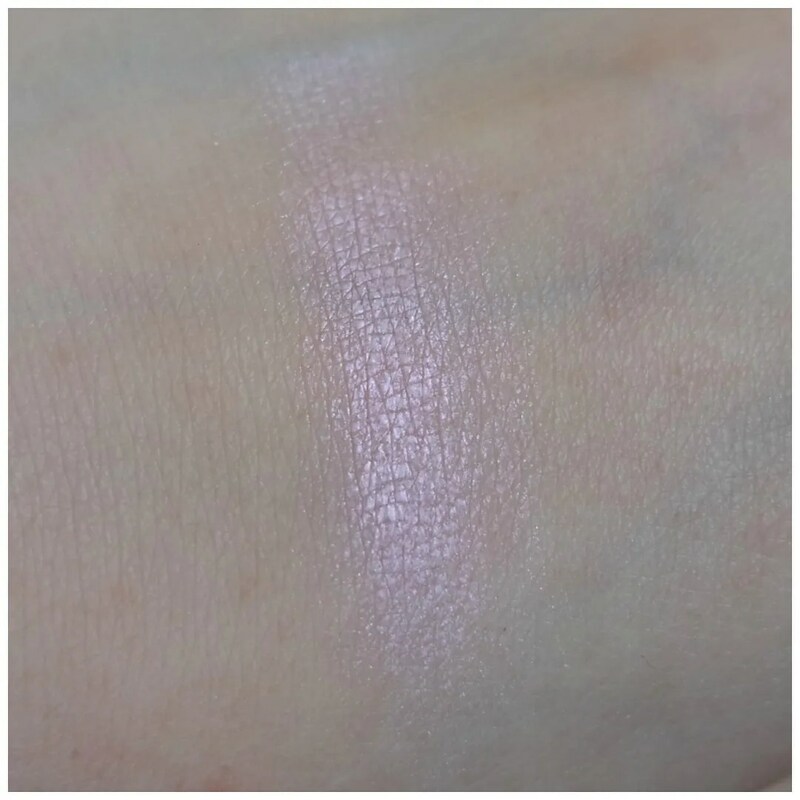 I decided to try the ginormous Skin Kiss highlighter in Prismatic Kiss. 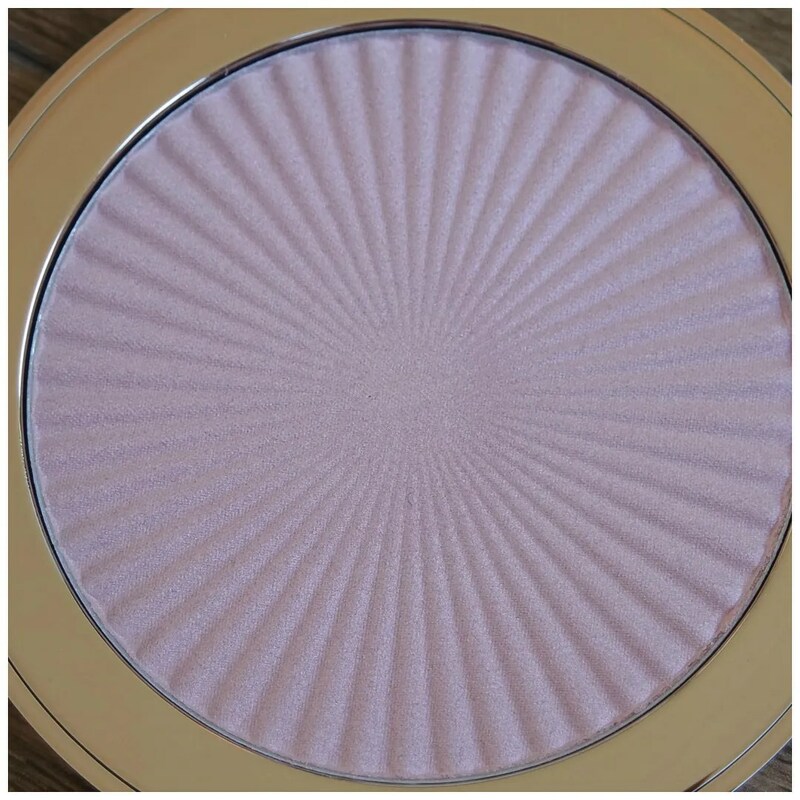 The main reason for wanting to try this particular highlighter is because I read that it was a great dupe for one of my high end favorites: Becca Prismatic Amethyst. If that is true, then of course this would be a great product to recommend. If I say this highlighter is big: it comes with 14 grams of product. That is a lot of any powder product. Some eyeshadow palettes don’t even come with that much product. So that is impressive. And it doesn’t cost much either. It retails for €6.25 regular price, but it is currently on sale for half price on the official Revolution Beauty website. So maybe they are discontinuing this? I’m not sure. Because this highlighter comes with so much product, this highlighter is also quite large. And that is not a good thing. At first you think: YAY, this is the biggest highlighter I have ever seen. But then you try to store it and use it and you go: this is just too big to deal with. What I do like about the packaging is how it is all about the product and while the plastic feels cheap, I appreciate how the lid is clear and you can easily see the product. Apart from the size of this highlighter, it has a super pretty duochrome look to it in the pan. It has pink/ purple shift, so I can see why this would be compared to Becca’s Prismatic Amethyst. The powder does feel quite heavy to the touch, which is something I noticed straight away. It also has a pretty clear shimmer to it. Not a glitter per se, but there is definitely something chunky to this too. In highlighters, chunky doesn’t have to be a bad thing though. As long as it looks smooth on the skin, then I’m game. In the swatch it is clearly visible how heavy this powder have. This feels almost like a cream, which leads to the powder gathering in some places, but not in others. I couldn’t get the swatch to look even: it is much sheerer at the top than it is in the middle. That doesn’t bode well. When applying this onto the skin, I find this catches onto some parts of the skin, but doesn’t apply like an even sheen onto the skin. You can see what I mean in this collage. The top picture features my cheeks without any highlighter on. At the bottom you can see my cheek with the highlighter applied. As you can see the highlighter looks thicker in one area than another. I just find this highlighter doesn’t blend in evenly and it catches onto the texture on my skin, emphasizing it and that is not a look I look going for. I was hoping this highlighter would be a good dupe for my favorite, so much more expensive Becca Highlighter. 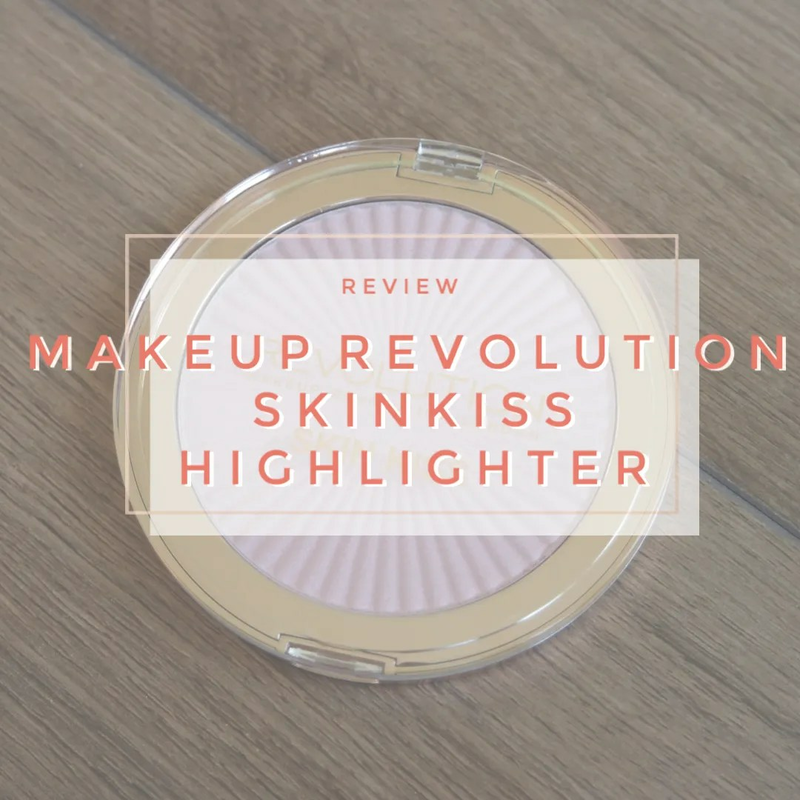 Sadly, the Make Up Revolution Skin Kiss highlighter in Prismatic Kiss doesn’t hold a handle to the Becca one. Mainly because this is a bit chunky and catches onto areas of my skin in an unflattering way, I don’t feel I can recommend this highlighter. I would rather save up and buy the Becca one instead. 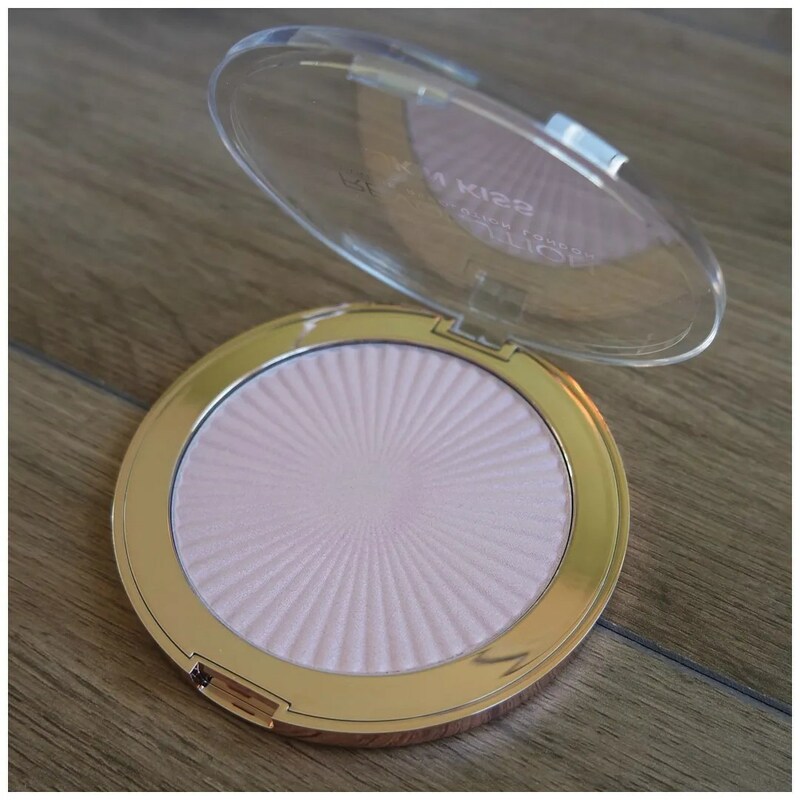 What is your favorite drugstore highlighter? Becca is my favorite too! 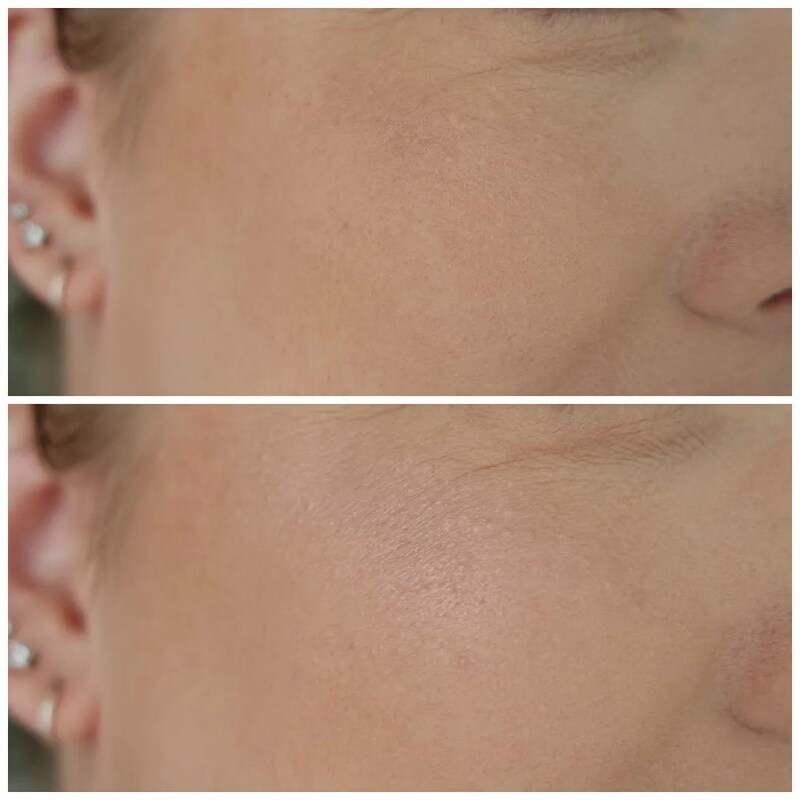 I have never tried a highlighter after reading your post now I want to get one!!! It is definitely reasonable for the price point, but I would save some cash and buy a different one.